Yasak Helva and their electo-folk traveling through the wideTurkish expanses, up to jazz in Carthage, bring with them their music steeped in winds from the Balkans, the Middle East and the Caucasus. Salih Korkut Peker on electro-acoustic, Hakan Gorkem Blyl on bass and Onur Ertem on drums will offer you an unforgettable journey. 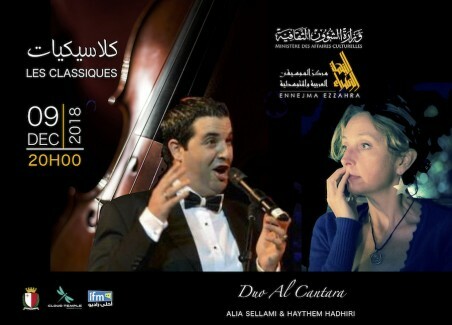 Apart from some great classics of the repertoire, solo or duo, Alia Sellami and Haythem Hedhiri recreate works with colorful and exotic colors. Traveling from one world to another, they will interpret pieces with multiple influences. Some come from the known French Orientalist movement, while others offer rhythms from Spain or take us to the south of Italy. 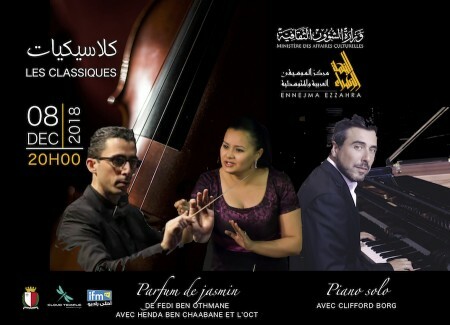 A special tribute is also paid to Tunisia through an original composition of W.Kheligenes. 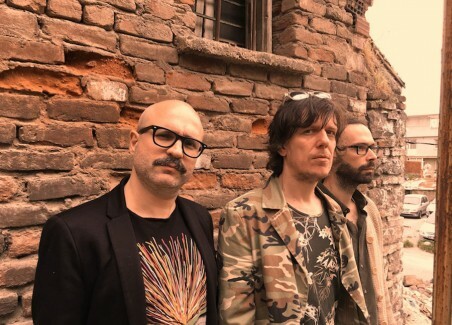 The trio OPUS 3 is an unusual formation formed in 2018. 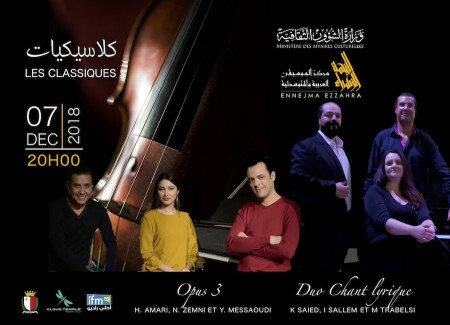 Its three musicians, gathered around the same passion, which is chamber music, offer a concert of French music based on works of Francis Poulenc, César Franck and Darius Milhaud. 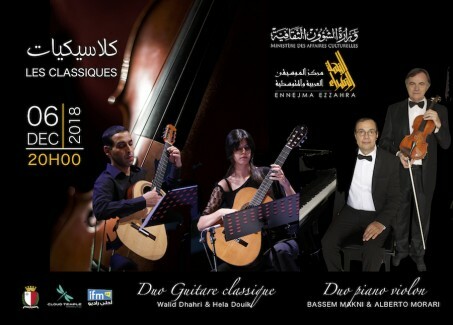 From the heart of the Mediterranean, this duet raises the flags of two neighboring countries, Tunisia and Italy, through a musical atmosphere painted by both Tunisian pianist Bassam Makni and Italian violinist Alberto Murari. 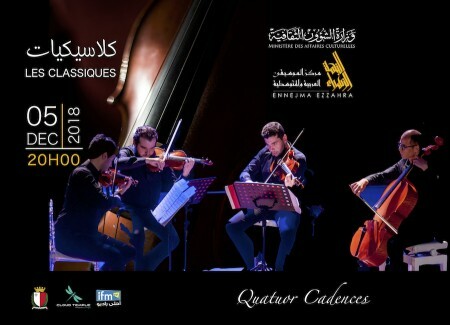 One of the few String Quartets formed in the Arab world, the Quartet Cadences is composed of four Tunisian musicians: Akram Ben Romdhane (Violin), Mohamed Bouslama (Violin), Afif Bouslama (Viola), Farouk S'habou (Cello).